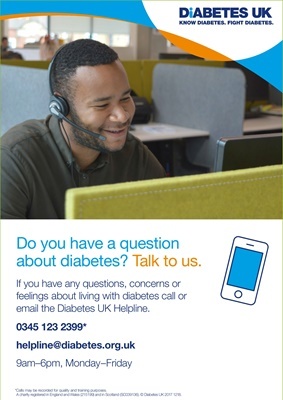 email the Diabetes UK Helpline. about diabetes? Talk to us. A charity registered in England and Wales (215199) and in Scotland (SC039136). © Diabetes UK 2017 1218.